Professional quality refill pages for presentation binders and multi-ring binders. * Standard multi-ring binder holes. 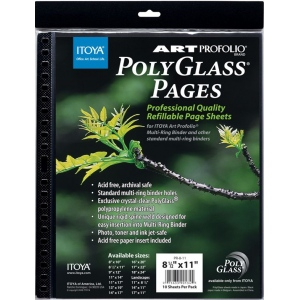 * Crystal clear polypropylene material with unique rigid spine weld for easy insertion into binders. * Photo toner and inkjet-safe. * Includes acid-free black paper insert in every page.